Family or Fun in the Sun? 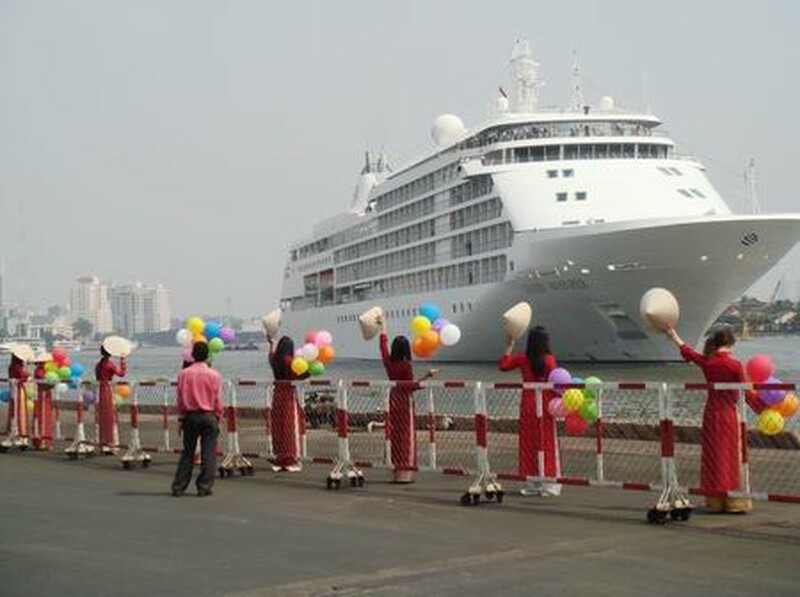 The cruise ships that frequent Viet Nam from September to May bring thousands of well-heeled foreigners to these shores. Besides being big spenders in the main, the most noticeable characteristic of these visitors is that seven out of every ten are elderly people. Why is that? The inhabitants of wealthier countries have a burning itch to travel and see the world, an itch that many have the money to scratch. Trouble is, they often don’t have the time until they retire, hence the preponderance of old people on the cruise liners. Whether they are paying their own way or benefiting from the generosity of doting children, the retirees who decide to spend several weeks at ease on the high seas view it as the ultimate experience for anyone in their golden years. Whether the reality matches the prospect is beside the point. So what do Vietnam’s older generations think about the idea of an ocean cruise? Is exotic travel their utmost desire upon retirement? Certainly the traditional Vietnamese lifestyle differs in many ways from wealthier lands. Whilst independence and privacy are treasured by Americans and Europeans, the Vietnamese have always preferred to spend time with their families doing the things that happy families do together. It’s a lifetime habit and commitment. So it’s no surprise that, after retirement, Vietnam’s senior citizens still find themselves important to the rest of the family and are not unceremoniously dumped and left to rot in a nursing home. Children and grandchildren still ask their parents and grandparents for advice, just as they did a hundred years ago. It’s part of the culture, though one that is evolving as Western ways make inroads into traditional Vietnamese life. Seventy years ago, when the old people of today were young, Vietnamese society was limited to the village or town and people rarely traveled far, so immediate contact with the family was the norm. There’s a good phrase for it: Vui vay cung con chau, which can sort of be translated as “live happily in the bosom of the family”. Just as they did before, the older generations spend their time visiting friends and relatives, reading, raising ornamental fish, growing plants, and engaging in other hobbies and pastimes. Some are still retained as consultants by their old employers because of their irreplaceable knowledge and feel very proud of their position. Still, societies do develop and produce new lifestyles, and successful middle-aged Vietnamese are starting to think a little differently, which brings us back to the early part of this article. The idea of holidaying abroad has really caught on among the Vietnamese who can afford it, and it’s getting common for an entire family to go on an overseas trip solely for pleasure. Perhaps in ten to fifteen years’ time, Vui vay cung con chau could mean spending time together on a leisurely ocean cruise with all the trimmings.